Magical cylindrical tunnels of water. Riding inside a barrelling wave is considered by some to be the be-all and end-all of surfing. 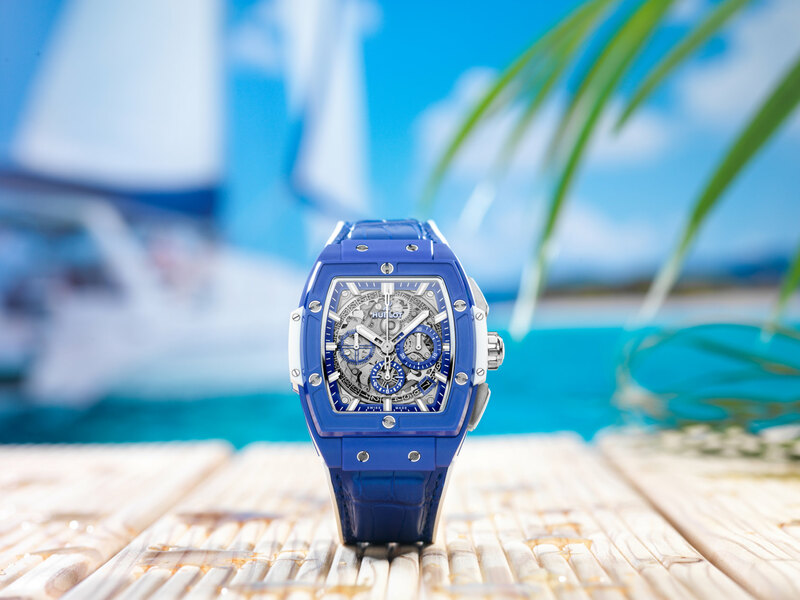 And while Hublot’s latest addition to the Spirit of Big Bang collection doesn’t exactly call for a rashie or a coating of wax, it does capture the essence of the sea, with an azure-coloured barrel-shaped case. 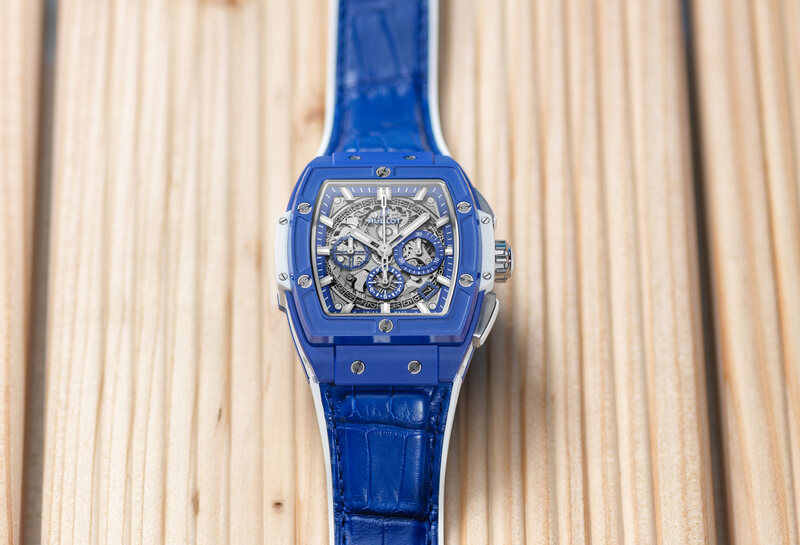 Exclusive to Hublot boutiques and limited to 100 numbered pieces worldwide, the trademarked tonneau-shaped case measures 42mm across and perfectly captures the brand’s “Art of Fusion” mantra. Crafted from microblasted and polished blue ceramic, it features white composite resin side inserts, a set of titanium screws, and titanium pushers and crown that are finished with an insert made of rubber. Visible through the open-worked dial and its engraved display caseback is the HUB4700 automatic chronograph movement – which some may recognise as Zenith’s famed El Primero – with a 50-hour power reserve and a running rate of 5Hz. 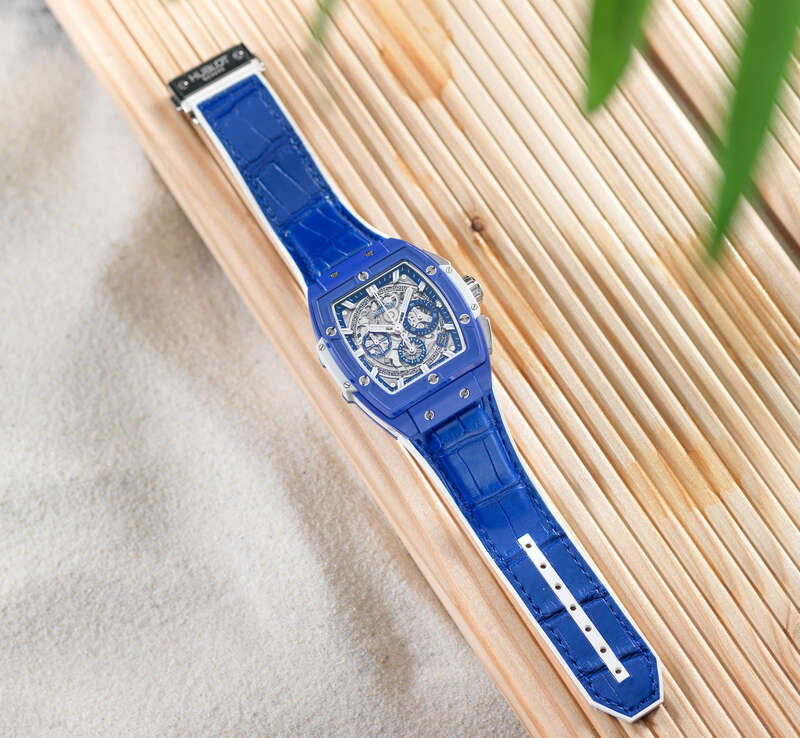 And in yet another melding of materials, a blue alligator strap is stitched onto white rubber. Originally introduced in 2014, the Spirit of Big Bang collection does exactly what it says on the tin. It captures the spirit of the Big Bang while sharing a lot of the same instantly recognisable traits. And this newest addition adds a dose of summer beach fun to the equation that’s sure to bring the sound of the ocean to your ear.